What do you get when you replace the periscope camera of a Huawei P30 Pro with a conventional, shorter tele lens? 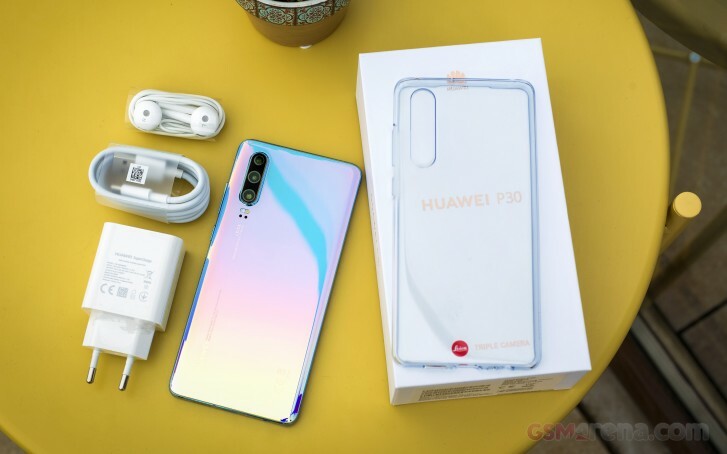 The Huawei P30 non-Pro, of course. That's us oversimplifying things and there are more differences beyond the most obvious 3x zoom vs. the Pro's headline 5x figure. 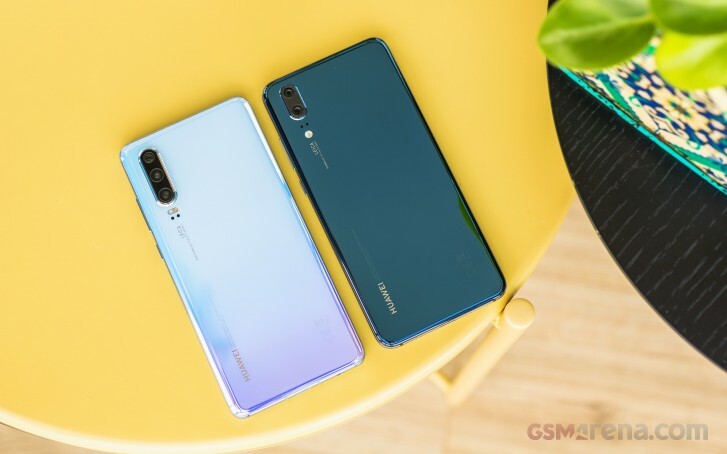 Huawei isn't keen on going the same path Samsung took with the S10s and is doing all sorts of things to differentiate between the models - it's not just a matter of size when choosing between the P30s and that's not ideal if you ask us. And since we started with the cameras, the primary one is sort of the same, but different too - same, because it uses the 40MP sensor with an RYYB filter that you'll find on the Pro; different, because here the imager is placed behind a dimmer f/1.8 lens with no OIS, while the other model boasts stabilized f/1.6 optics. The ultra wide is also not the same as on the P30 Pro and it's the one from the Mate 20, instead. 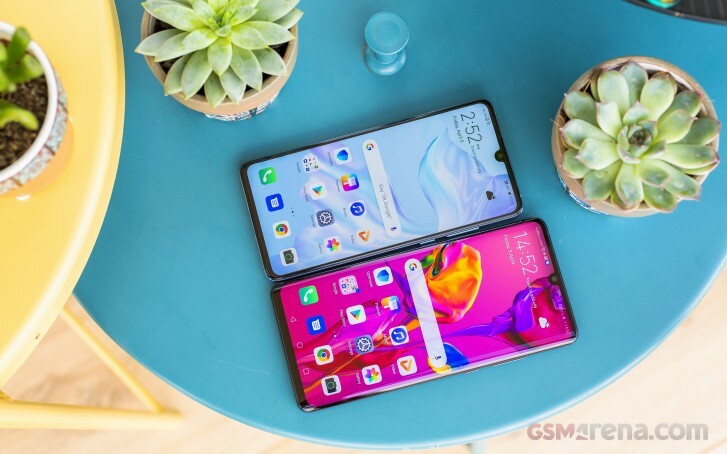 Then there are some arbitrary omissions that seem like they've been put in place just to make the P30 Pro's life easier - the vanilla P30 lacks proper waterproofing (IP53 vs. IP68), there's no wireless charging and the wired one is capped at 22.5W, where the Pro gets 40W. And the IR emitter is gone too, sadly. On a positive note, the P30 does have a regular headphone jack - a connectivity option that didn't have its place on the Pro, apparently. Body: Dual-glass with metal frame; IP53-rated for dust and water resistance; Amber Sunrise, Breathing Crystal, Pearl White, Aurora, Black color schemes; 149.1x71.4x7.6mm, 165g. Screen: 6.1" OLED, 1,080x2,340px resolution (398ppi); waterdrop notch. Chipset: Kirin 980 chipset, octa-core processor (2x2.6GHz Cortex-A76 + 2x1.92GHz Cortex-A76 + 4x1.8GHz Cortex-A55), Mali-G76 MP10 GPU. Memory: 6/8GB RAM, 64/128/256GB storage (expandable via Nano Memory - hybrid slot). OS: Android 9 Pie with EMUI 9.1. Camera: Main: 40MP (RYYB filter), f/1.8, 27mm; telephoto: 8MP, f/2.4, 80mm, f/2.4, OIS (3x optical zoom); ultra wide: 16MP, f/2.2, 17mm. 4K video capture, 720@960fps slow-mo, Leica branding. Selfie cam: 32MP, f/2.0 Leica lens, Portrait Mode with live bokeh effects. Battery: 3,650mAh; Super Charge 22.5W. Connectivity: Dual SIM, Wi-Fi a/b/g/n/ac, Dual-band GPS; Bluetooth 5 + LE, NFC, USB Type-C, 3.5mm jack. Misc: Under-display fingerprint scanner, single bottom-firing loudspeaker. The P30 proper isn't denied all Pro goodies, however. It's got the same high-end chipset, the under-display fingerprint sensor is under a beautiful OLED display, the identical 32MP front-facing cam is in a tiny notch up top just the same. Even the box is the same. Well, for the most part. It's plain white with rose gold inscriptions like on the Pro, but it says 'triple camera' next to the red Leica dot - the Pro's box has 'quad' there. Just like the Pro, the plain P30 comes with no USB-C to 3.5mm adapter in the box, only it doesn't need one since it has the jack built in. There's a headset with a plug to match it, too. Our review unit was packing a transparent silicone case as well, but this could be region-dependent, so don't count on it. There's a Huawei SuperCharge adapter bundled, its output rated at 5V/2A, 5V/4.5A, and 4.5/5A - the lower-tier of the company's proprietary standard, which is still pretty fast with its 22.5 watts. There's a cable to go with it as you'll need all the Huawei bits to get the full speed charging. Hye...does Nova 4 is worthy to buy compare to P30?